Consultants Cite What For-Profits Can Learn From Non-Profits – Linda Popky discusses the similarities between for-profit and non-profit organizations. 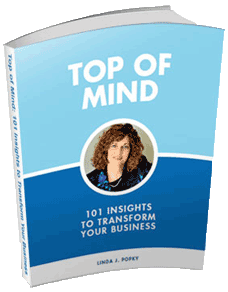 Consulting Triple Play Workshop Offered in Bay Area in October – Linda Popky offers a workshop based on the material of Million Dollar Consultant® Alan Weiss. The Product is You. 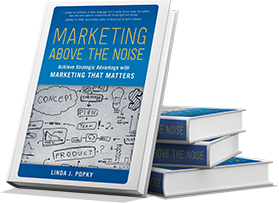 Managing your Career in a Social-Centric World – Linda Popky speaks on the topic Marketing Brand You: Managing Your Career/Business in a Social-Centric World. Consultants Highlight Three 2012 Business Trends – Linda Popky identifies the three situations when organizations should bring in external resources.